The dogs are still snoring; other than that, it’s just me this week. Me, and my socks. The Cast On – The Heel – The Bind Off – Elfine’s Socks – Stitch and Pitch – Stitch and Pitch Sock Pattern – KnitML Code. – Red Sweater Update. Hi Brenda – Great episode, as usual! I wanted to mention that one way to eliminate the ruffling with the Elizabeth Zimmerman bind off is to simply turn the sock inside out, and then do the sewn bind off as usual. Instead of flaring out, the sock will flare inward a bit, but I find it more aesthetically pleasing this way. Also, the “back” side of the sewn bind off more closely resembles a standard long tail cast on, which I think looks nicer on the public side of the sock. Yes, I notice that sort of thing too, so either we are both almost normal, or both a teensy bit obsessive! Thanks for another great podcast, and happy sock knitting. hey brenda, i just finished listening to cast-on, and i had to run down to the computer to tell you how much i enjoyed this episode. i listen to, AND enjoy, every show, and i hope you won’t take this the wrong way, but this is the best one in a long, long time for me! it sounded completely “live”, and i love that. it did not sound like you read anything word for word, the way you had taken to doing in the last series. it was just very chatty and very youâ€”i found it more personal, cheerful, and fresh. 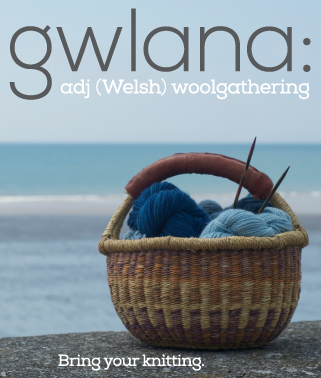 i love the new series and the focus on unique aspects of the welsh fiber industry. i am working on an essay for this series, about our move from NYC to ohio, and our cultural transition. hopefully, i can finish it this weekend and record a bit to send you. Brenda, you are the shiznit. Or something. Great show, great songs, and the least number of comments I’ve ever seen for your show. FINALLY you’re sinking to our level. You must have crippled everyone with the sheer magnitude of your brilliance and knitterly kneatness. Cheers from your Canadian boyfriend. Oh the pain! I’ve been crippled with the sheer magnitude of your brilliance and knitterly kneatness. Hee hee. 🙂 Great show!! Thanks for your great work and happy knitting! I also loved this week’s show. I am currently working on socks and it was fun to hear your excitement about them. I haven’t tried a pair of toe up socks yet, but I think I will try the pattern from Knitty that you are gushing about next. Thanks for providing so much inspiration and companionship. You asked about a sense of place just as I looked up from my knitting as my train was crossing the Sydney Harbour Bridge on a perfect, clear winter’s morning. The Australian aboriginals have no knitting heritage – sheep are a very recently introduced animal. So, we borrow from other cultures in our knitting as in the rest of our life (unless you like those horrifyingly bright, oversized sweaters with Koalas on them…). Hi Brenda, Glad you’re back! I’ve been a loyal listener from the start. Just don’t use the calf shaping if you want a straight sock. I’ve finished one sock with this pattern’s calculations and it worked perfectly. I’ve also been using a K2tog bind-off lately (like for lace) on a larger needle, and that seems to be pretty stretchy but not too futzy. Hello. I found your podcast not too long ago and I am one who is catching up. You are wonderful. This week’s episode really hit me, everyone wants me to knit something for them. Someone offerd me 20 bucks for a pair of socks. And I was so sadden by it. I do knit a lot for others but I give freely. You hit the nail on the head that what I can do with my two stix is priceless. Ps. I was so tickled when you mentioned pims on the terrace… have one for me. As for my view, it is pouring rain as I sit on my front porch here in rural MN. Another great show! Thank you for your enthusiasm as I knit and spin alone at home. You keep me going! Brenda, thank you for sharing your time and talent. I’ve been listening for about a month and have played catch-up on quite a few back episodes. While some may knit and listen, you and a few other talented podcasters are responsible for my new exercise program. Exercise has been sadly lacking and I find it very boring. But since my ipod and podcasts I can walk for 45 minutes and be totally entertained!! I’m a new knitter and I’ve sadly knitted myself into a wrist brace thingy I can take on and off. I can’t knit right now and that is a bummer. 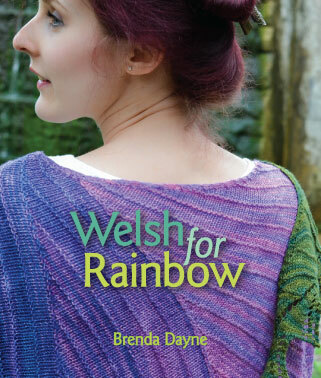 But I still enjoy listening and can dream about the day I might be able to knit some lacey thing like the shawl you described!! I still look forward to each new podcast. Thank you for your time and the company you provide while I knit away naptime in an air-conditioned room with the curtains drawn. It’s the one cool hour of the day here. Thanks too for the varied music. Today the song by Causeway got my heart pounding and I rushed over to by the CD. It’s been a long time since I heard a song that got to me right away, and I wouldn’t have found it otherwise. Thanks! I’m a long-time listener, right since episode one, so i’m DELIGHTED that you’re knitting my Elfine socks! Thank you Brenda! and thank you (echoing other commenters) for all the time and effort you put into these podcasts – I know it’s no small undertaking. First of all, thanks so much for all you do – I LOVE your podcast. It’s gotten me through gym workouts I probably wouldn’t have gotten through otherwise, a cross-country move with 2 yowling cats in a Mini Cooper, and of course, LOTS of knitting! Hearing you refer to the Widdershins pattern in this really made me laugh – I’ve heard about it about 90 times, and STILL hadn’t tried it. I downloaded it yesterday, and I’ve got some Koigu ready to go. As soon as this week’s podcast is out. I need a little incentive for my first toe-up socks, LOL!! I’m another new listener who’s getting caught up on old episodes. I burned all of your older podcasts to CD and have been listening to them at work. They help me stay sane at my horribly boring office job. For the past few weeks, I’ve had some ‘crap’ going on in my life and have been unable to sleep more than a couple hours a night. I’ve tried it all: counting sheep, listening to music, listening to talk radio, watching TV, listening to the dogs snore, etc. etc. A few nights ago I decided that as long as I was awake, I might as well listen to a podcast. Your voice was so soothing and so calming that I fell asleep! I tried it the next night (with a podcast I had already listened to) and it worked again! The best way to explain it is that listening to you is like when I was a kid and my mom would read to me at bedtime. Listening to your podcasts relaxes me,takes my mind off my troubles and I’m able to fall asleep. Thank you! I hope you’re not insulted, as this comment is not meant that way. I just wanted to thank you for the nights of peaceful sleep I’ve had lately. Love your Podcast! I look forward to listening to it every week. I love this new series- the sense of place. I am in central Pa and I know that the influences of historical spots, and Amish make me love and respect handspun and hand knits more and more. I look forward to enjoying all of your podcasts. Fantastic show, as always. I think I might have to fall in love with Greg Tannen, too. I’m sure my husband would understand. I hadn’t realized that you’re spinning on a Kiwi. It’s no surprise you’re having problems with short fibers! About the only thing worse than a low-ratio wheel for spinning short fibers is a bobbin-led wheel (like a Louet). A takli-type suspended spindle, like the ones you’re making, is the way to go, particularly when you’re first learning how to do short fibers long-draw. Actually, once you get it down with a supported spindle, you might be able to go back to your Kiwi and do it, but you’ll have to treadle like a bat out of hell to get enough spin on it. Are Indian charkhas readily available in the UK? Once I spun cotton on a charkha, I never went back to spinning it on a wheel. I too have been on a sock kick but mine has more to do with heat. I LOVE that you would use your substandard yarn to knit socks for someone you don’t like. In true knitterly fashion you don’t even entertain the idea of not knitting socks for someone with whom you could do without. I really appreciated your revelation about selling your knitting. Everytime I show my sister-in-law something I have made she says you should sell these! Everytime I tell her no. She sells her crafts and crocheting and embroidery and it is her full time job and consequently she not longer has anything to do that she can enjoy…. it all has to sell. My leisure time and the joy I have in creating my knitting is worth more than money…..unless it is outgoing to buy yarn. I enjoy your show very much. The snatchel episode has been shared alot and the lace lifeline information came just as I was in the middle of my Charlotte’s Web….154 row chart and I think I knit about 500 but it was worth it. I saved up severl episodes to listen to while I do prep for an upcoming art show. I could listen to you for hours. Really. Thank you-your an inspiration. Brenda, I have to thank you for the brilliant suggestion of using the magic cast-on for a short row toe. I love those kinds of toes too, but am usually too lazy to actually pull out a crochet needle to do my preferred provisional cast-on. But, as you pointed out, leaving the other side of the magic cast-on alone and doing the short row toe on the other side worked PERFECTLY. No picking up stitches, and you get the exact correct number when you’re ready to knit in the round. Genius. I’ve learned so much from your show. Keep up the fantastic work. thanks for your podcast. listenening to other knitcasts irritates me, yours is uplifting. I also want to thank you for your words about provisional cast-ons for socks. They scared me, but the way you talked about it made it sound so easy – and it is! i love it when i learn something new.